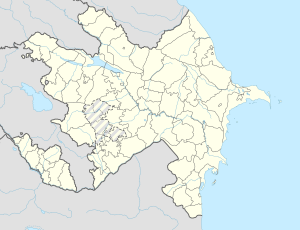 Khojavend (Azerbaijani: Xocavənd, namit Martuni (Armenie: Մարտունի) bi locals) is a toun an the provincial caipital o the Martuni Province o the de facto unthrilt but unrecognizit Nagorno-Karabakh Republic. It is internaitionally recognizit as the caipital o the Khojavend Rayon. It is locatit approximately 41 kilometers east o the republic's caipital o Stepanakert. Its population accordin tae the 2005 Nagorno-Karabakh census staunds at 4878. Excavations in Khojavand hae uncovered a number o tombs datin tae the Neolithic an Bronze Ages. Khojavand is hame tae several ruined medieval kirks an remains o settlements an aw, an khachkars hae been preservit an aw. Durin Soviet times, Khojavand wis the caipital o the eponymous destrict locatit in the Nagorno-Karabakh Autonomous Oblast. The population o the toun, groupit intae kolkhozes, largely occupeed itsel wi raisin livestock, grape growin, wheat cultivation, an gardenin. Khojavand, an the destrict itsel, became a frontline ceety durin the latter stages o the Nagorno-Karabakh War. In early Februar 1992, Vazgen Sargsyan, the then Defence Meenister o Armenie, appointit Monte Melkonian as Chief o Heidquairters an assigned him tae lead the defense o Martuni an the surroondin regions. Melkonian, who remained as regional commander till he wis killed in combat in Juin 1993, an the forces unner him wur able tae halt an prevent the Azerbaijani militar frae occupyin the destrict throughoot the entirety o the war. ↑ Results of 2005 census of the Nagorno-Karabakh Republic. ↑ 2.0 2.1 (in Armenie) Anon. «Մարտունի» (Martuni). Armenian Soviet Encyclopedia. vol. vii. Yerevan: Armenian Academy of Sciences, 1981, p. 352. ↑ See Markar Melkonian (2005). My Brother's Road: An American's Fateful Journey to Armenia. New York: I.B. Tauris, pp. 207ff. ISBN 1-85043-635-5. This page wis last eeditit on 10 Mairch 2018, at 23:38.